Taste the Doddington magic with our four-cheese tasting bag. 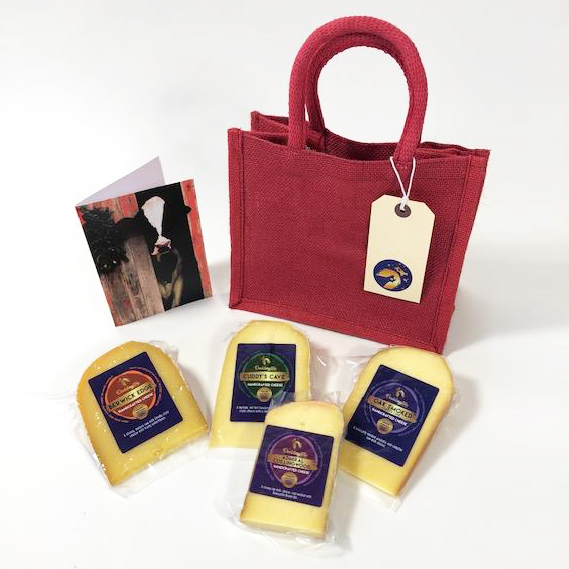 Presented in a red jute carrier with tag, each bag contains four pieces of cheese and a Doddington cow card, making them an ideal gift for cheese lovers or to give as a gift to a dinner party host. Cheese selections vary as chosen on the day of ordering. Minimum cheese weight 0.6kg. All cheese contains MILK.